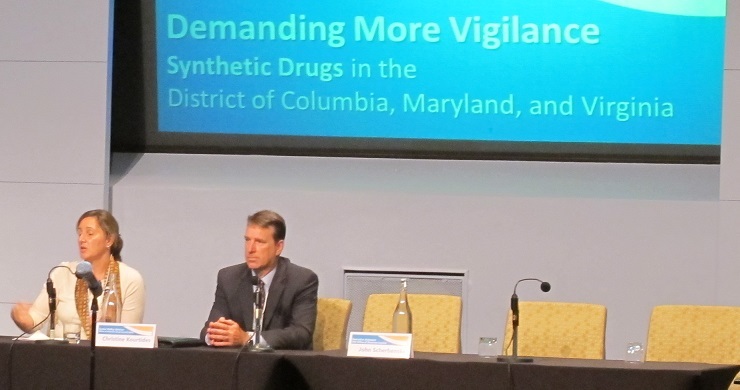 The purpose of the event, Demanding More Vigilance: Synthetic Drugs in the DMV (DC, MD and VA), was to bring together federal and local behavioral health, medical, scientific, legislative, criminal justice, and education leaders to examine the current scope of synthetic drugs in the region, identify innovative approaches to the various issues related to synthetic drugs and to discuss viable, coordinated response strategies. 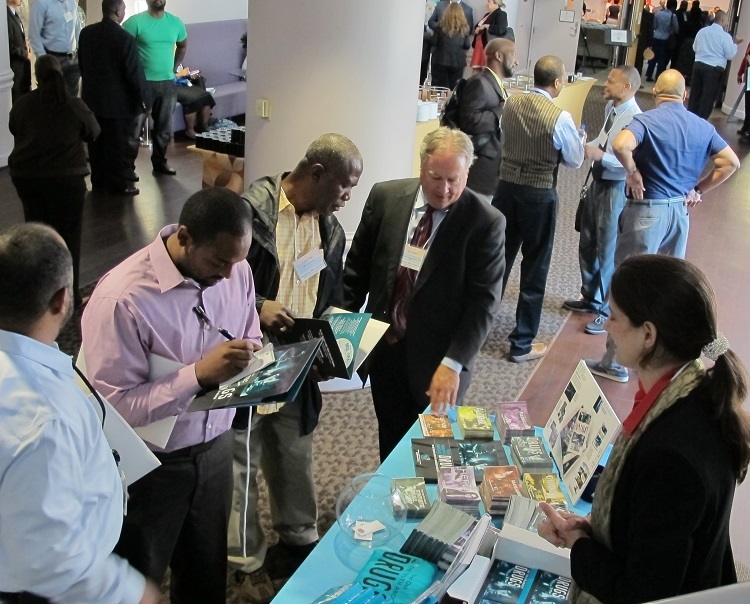 Organizers and partners included agencies from all three jurisdictions: the D.C. Criminal Justice Coordinating Council, the Maryland Governor’s Office of Crime Control and Prevention and the Virginia Department of Criminal Justice Services. Washington, D.C. Mayor Muriel Bowser was the keynote speaker. 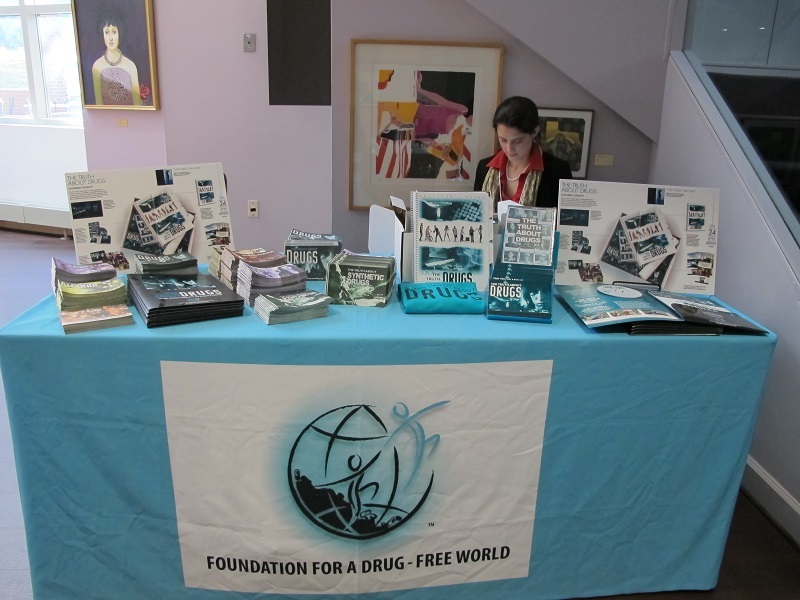 The Drug-Free World booth was the only information table at the event! 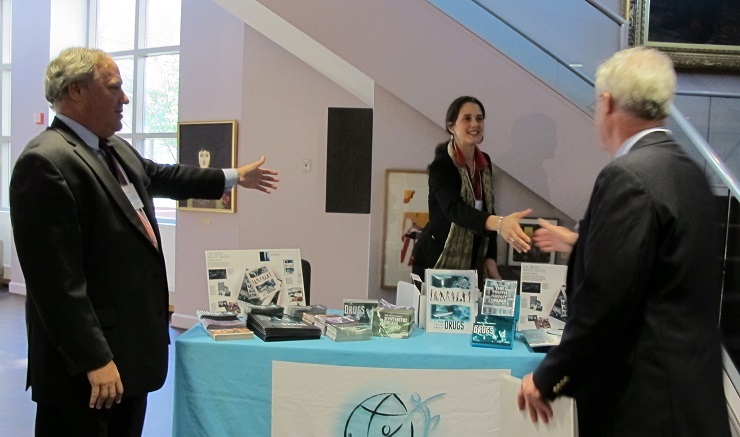 There was a continuous stream of attendees visiting the table and taking The Truth About Drugs materials throughout the day-long event. We had five volunteers helping over the course of the day. 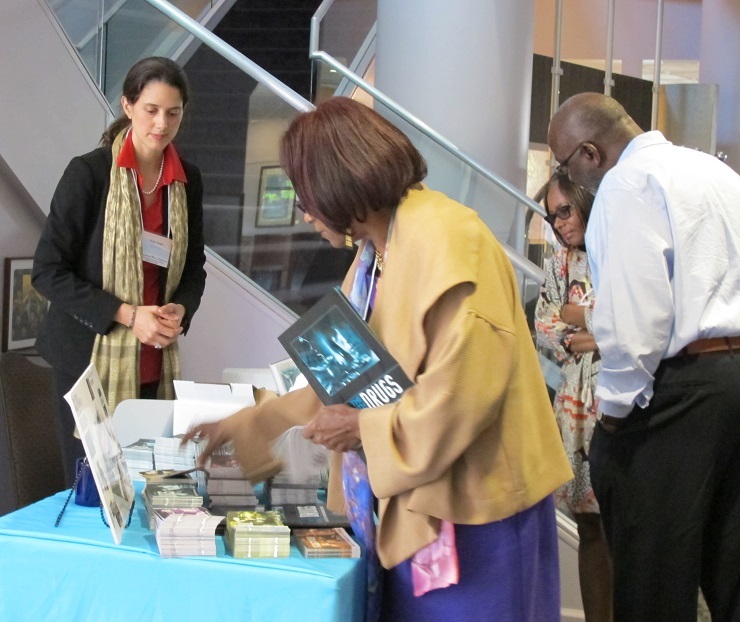 The Truth About Drugs Booklets – Over 1,100 booklets were handed out, including the new Synthetic Drugs booklet as well as the Alcohol, Marijuana, Heroin, and other booklets. Volunteers showing the materials to event attendees. Needless to say we considered this a big success! Dr. Roger Mitchell, Chief Medical Examiner, D.C.